It’s been a transfer window full of surprises, and Juventus could be set to carry on this trend. The reports in Italy suggested that Cagliari forward Kwang-Song Han is in advanced negotiations with Juventus. The North Korea international joined Cagliari on a free transfer in March 2017. His contract expires in the summer of 2020. In August 2017, Kwang-Song Han was sent to Perugia on a season-long loan. Kwang-Song Han has played 19 times for Perugia since signing from Cagliari, scoring seven goals and creating three assists in that time. The 19-year-old has been touted as one of the brightest young prospects in North Korea. The North Korea international has been in outstanding form for Perugia this season. Kwang-Song Han has represented North Korea at Under-17 and Under-19 level, winning seven caps. Massimiliano Allegri wants to sign a new forward for the future and Kwang-Song Han is one of the names at the top of his wishlist. He has always been a manager who keeps his eyes on the most talented young players across the globe. According to the report, Juventus are in advanced negotiations for Cagliari’s North Korean hitman Kwang-Song Han. 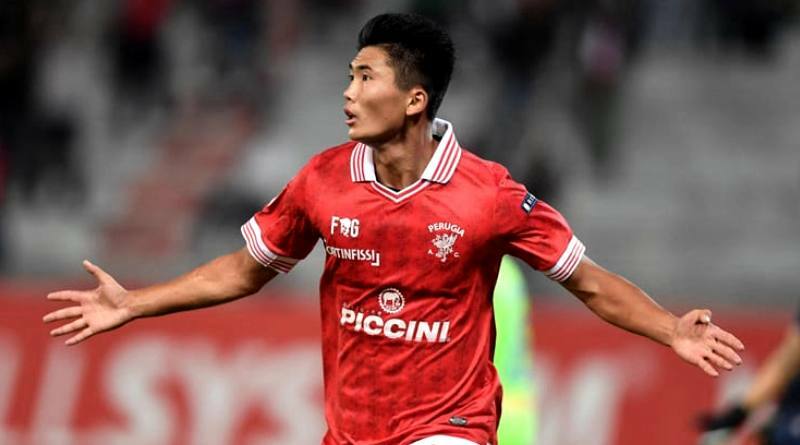 The 19-year-old made history as not only the first North Korean player in Serie A, but also the first to score in an Italian top flight match. Juventus have been tracking Han and scouting his games since September. His arrival would help Juventus to expand their status on the Asian market. Will Kwang-Song Han be a Juventus player soon? Only time will tell. One thing is nearly certain, though. Thanks to his great displays, he’ll be at a much bigger club than Perugia this time next year.